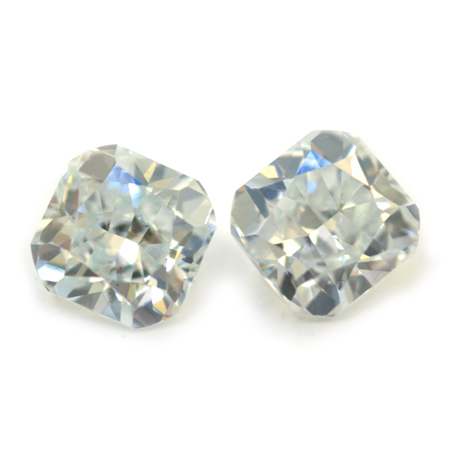 A pair of Fancy Light Bluish Green and Light Blue Radiant cut diamonds, total weight 1.03cts. Diamond 1: Clarity - SI1, Measurements: 4.69x4.63x2.85. Diamond 2: Clarity - VS2, Measurements: 4.71x4.7x2.77.